1. Product connection and placement: This product will not work across the wall. When placing, the front panels of transmission end and receiving end should be directly at the opposite side in case of too many shields. 2. Transmission: HDMI cable connects with HDMI video source and charged through Micro USB cable connection. 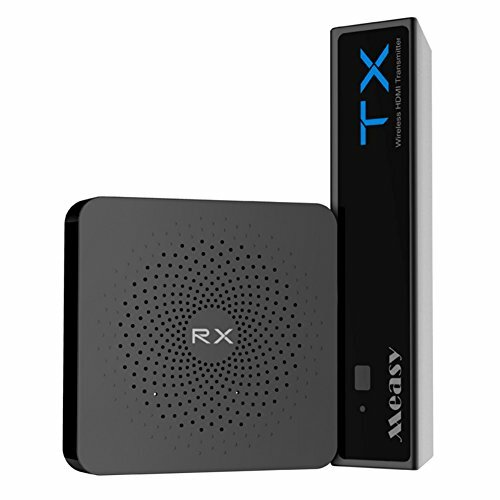 ⊙▽⊙ Wireless & HD：Wireless HDMI transmitter and receiver adopts wireless HD technology to transmit video and audio signals through 60 GHz frequency and 7 Gbps bandwidth, The resolution of transmitted video is up to 1080P. ⊙▽⊙ Enough Interface： Transmit up to 4 media devices with HDMI inputs, easily switch between sources without unplugging. ⊙▽⊙ Covers Your Entire House： Up to 30 meters long straight line wireless transmission distance,control your devices from any room in your house with the IR remote extender. ⊙▽⊙ One-Button Paired： Paired devices doesn't need to pair or doing any other setup again, which only needs to plug in power supply. ⊙▽⊙ Countless Kinds of Entertainment： Between broadcast movies,TV shows,games,and music from your cable box,Bluray player,gaming console,satellite,PC,Mac,laptop,and more for wireless transmission. If you have any questions about this product by Shantan, contact us by completing and submitting the form below. If you are looking for a specif part number, please include it with your message.